6. Color contrasts attract fish. 7. Put something on your lures the fish can taste and smell. 8. Use the lightest weight you need to get your lure into the strike zone. 9. Cast upstream and keep your lure moving in the direction of the current. 10. 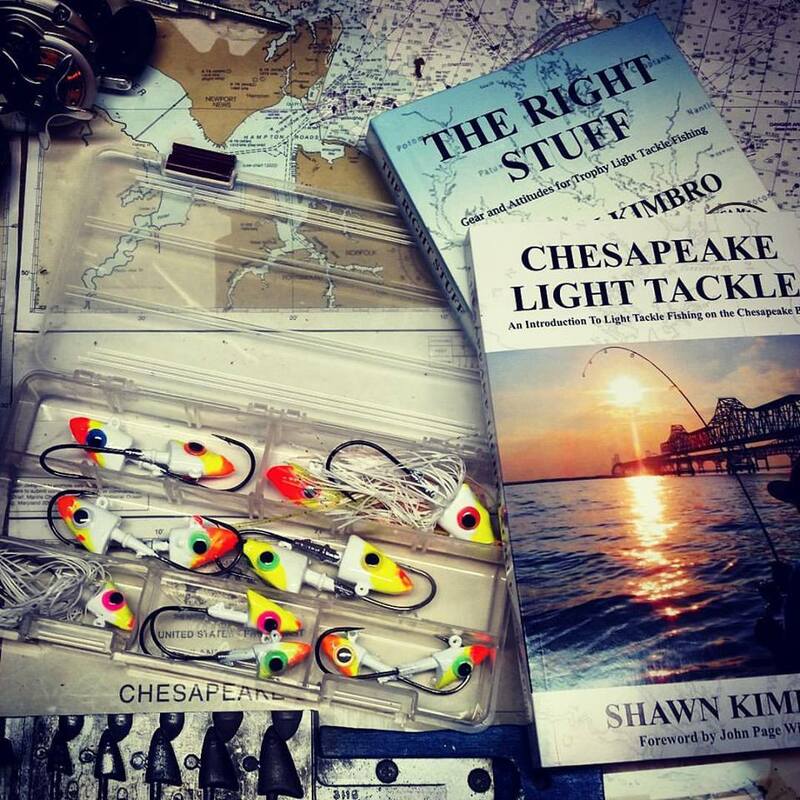 Think topwater first in low light/high-current situations where water is 65-degrees or warmer. 11. If the choice is between a spook or a popper, go with the spook. 12. Big fish feed in shallow water. 13. 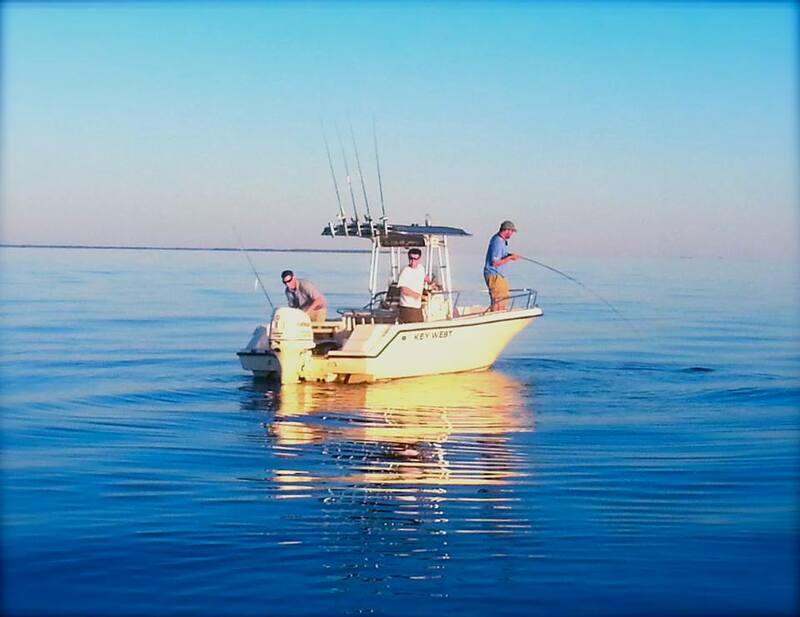 When cruising from one spot to another, keep your boat near the ledges and watch for bait or feeding fish. 14. Big birds = big fish. 15. Pick out the lure with the deep pitched rattle. 16. 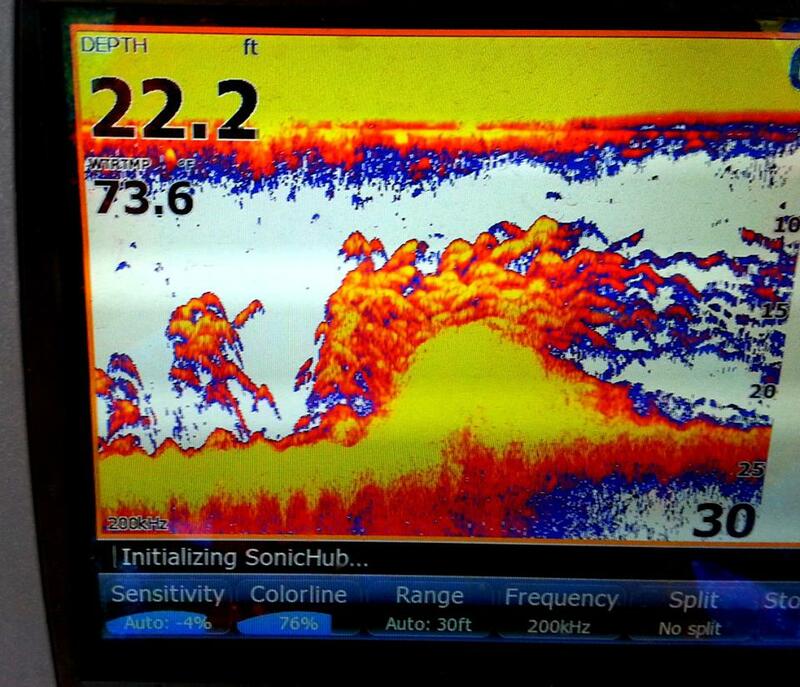 Except in shallow water, find the fish on the sonar before casting – jig where the fish are. 17. Keep working a lure after a strike because the fish is still there. 18. Wait for the weight before setting the hook on a topwater strike. 19. Use monofilament line for topwater fishing, braid for jigging. 21. Glue bigger eyes on to your lures. 22. Use a stiff, short, light rod for jigging and a longer rod for casting plugs. 23. Cast farther away when the water is clear. 24. Select a lure size that is just slightly larger than the bait you see. 25. If you’re only catching little fish, move on because the big ones are probably feeding nearby. 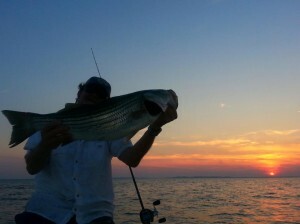 The photos in this entry are of fish caught close to Kent Island in the last couple of weeks. Tropical storm Andrea didn’t change patterns much except for bringing some stained water into the Upper Bay. Water temperatures are holding in the mid-70s. The Bay Bridge is now in full summer-swing. 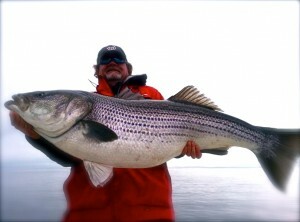 I caught four piling fish this past week that went over 32-inches. The Kent Island Sewer Pipe is loaded with fish. There are breakers in the area around the Dumping Grounds and still a few fish on the humps near Love Point. Eastern Bay is hit and miss, but producing some nice fish if you can find them. To the south, Poplar North is holding small fish in shallow with bigger schools out toward The Hill and occasionally breaking. South Poplar down to the Hook and Sharps Island is producing on the humps and ledges. To the west, fish are spread out over Hacketts down to Tolly’s and occasionally schooled up enough to jig. Suspended fish are still hanging around the mouths of the western rivers and all the way down to Parker’s Creek. Topwater around the power plant and on the rocky points is good in the mornings and evenings. In a nutshell, striper fishing in Maryland is superb right now no matter which direction you go. So, go! 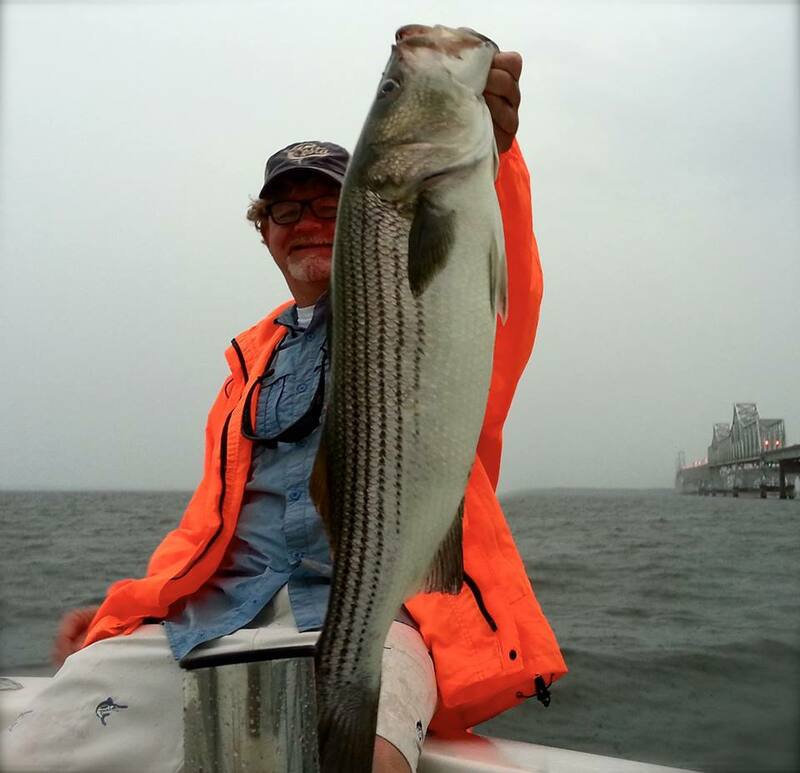 Here’s a shot of some local structure loaded up with nice-size striped bass. That hump looks like it’s on fire! Great right up. Always look forward to your articles. I saw you out yesterday evening at the sewer pipe. 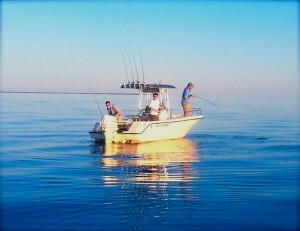 I was in the skiff fishing in a little deeper water than you. How did you do over at the bridge when you went over there during the beginning of the incoming? Thanks for the write up and you’re definitely right about eastern bay being hit or miss. When you find fish in open water do you just drop down on them or cast and retrieve your jig? I almost always cast and retrieve thinking bigger fish usually stay a considerable distance away from the boat. I have always just dropped straight down and jigged vertically but the last time I was out the biggest fish was caught by someone casting out and jigging. At first I thought it seemed odd to cast when the fish are under you but it makes sense that bigger fish would tend to avoid the boat. Excellent tips Shawn. Like the screen shot too. I recognize some of those tips are included in your book. I think I will print this and tape inside of my tackle box. Hmmm:)? I guess when fishing is this good you don’t mind talking about particular spots. First I have seen you or Jamie be so specific about locations. I must be a half decent listener because I didn’t really see anything new (been to one of your presentations) but I am sure it only pertains to fishing:), my wife definitely wouldn’t agree! Easy to forget little things though, thanks for the write up. I have started to try casting upstream a bit more when I have good marks below, not too much success yet but I will keep trying that one. >>> Hmmm:)? I guess when fishing is this good you don’t mind talking about particular spots. First I have seen you or Jamie be so specific about locations. I must be a half decent listener because I didn’t really see anything new (been to one of your presentations) but I am sure it only pertains to fishing:), my wife definitely wouldn’t agree! Easy to forget little things though, thanks for the write up. I have started to try casting upstream a bit more when I have good marks below, not too much success yet but I will keep trying that one. <<< Nice reply ole CHUM. I’m sure he was specific since there are fish about anywhere you go right now if you know how to jig. Thanks for more good advice. It worked for us Sunday morning. I told my son-in-law about your web site and he can’t wait to go again. All one néeds to know, though I am a fan of white. ! Been a while since I have been on CLT, what a good looking site Shawn. Heard from Spynet? He texted me that his lady said “yes”! Awesome that Andrea said YES! Congratulations to Dave. That’s a definite keeper.